Ford Figo has been a trump card for Ford India to create a strong presence around India in a very short time. With small car market in India being the largest market in the automobile space, Ford Figo is a rightly priced value for money car which has registered a strong sales number of 1 Lakh units in India within 15 months of launch in India. 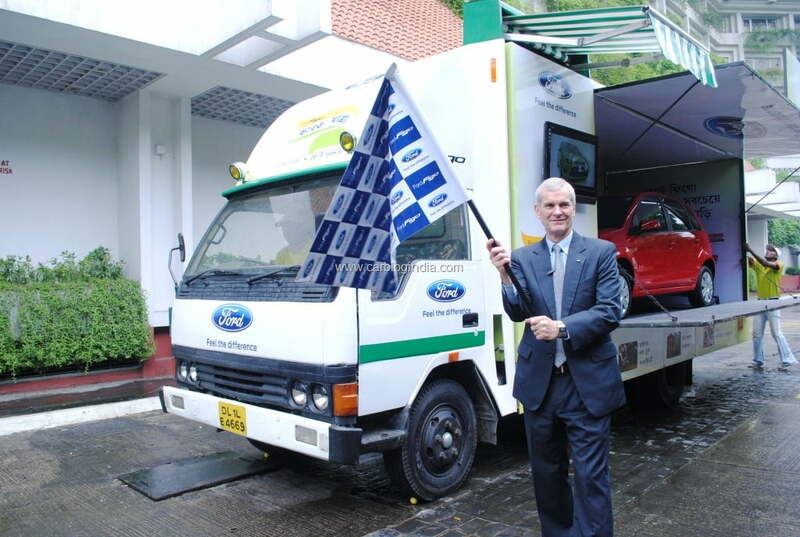 To celebrate this success, Ford India has decided to embark on a road show which they call “Bharat Yatra” (which means journey across India), in which there will be a 100 day Road Show conducted across 1000 cities in India giving customers and fans a first hand look at the popular hatch. We are proud to have attracted 100,000 Figo customers in just 15 months. Through our 100-day road show, the Ford Figo ‘Bharat Yatra’, we will introduce the vehicle to even more Indian drivers, enabling them to see, first hand, what the buzz is all about. The innovative Ford Figo ‘Bharat Yatra’ road show kicked off in Kolkata on June 29, and will continue through the states of West Bengal, Assam, Orissa, Chattisgarh, Bihar, Jharkhand and Maharashtra. Beginning next week, another two convoys will depart from Pune and Bangalore. The three Figo convoys will visit 1,000 Indian towns, covering 18 Indian states, over the next 100 days. The route for the Ford Figo ‘Bharat Yatra’ has been meticulously crafted to ensure that the car not only goes to Tier I and II cities, such as Pune and Asansol, but also to more remote towns such as Gadchiroli, Hinganhat and Korba.